Chris Callison-Burch is an Associate Research Professor at the Center for Language and Speech Processing (CLSP) at Johns Hopkins University. He received his PhD from the University of Edinburgh’s School of Informatics in 2008 and his bachelors from Stanford University’s Symbolic Systems Program in 2000. His research focuses on statistical machine translation, crowdsourcing, and broad coverage semantics via paraphrasing. He has contributed to the research community by releasing open source software like Moses and Joshua, and by organizing the shared tasks for the annual Workshop on Statistical Machine Translation (WMT). He is on the editorial board of Computational Linguistics, and he is doing pretty well on the ACL Anthology Network leaderboard. The past two years as a NAACL executive board member has given me an excellent understanding of how the organization works, and what its role is beyond maintaining a high-caliber scientific conference. If I am elected chair, I will continue past initiatives like funding the NAACL summer school at Johns Hopkins University and doing active outreach to South America. I will also put forward my own agenda. I will improve reviewing by liaising with the Softconf developers to create single logins for every reviewer, and to specially treat resubmissions of rejected papers by giving current reviewers access to the previous set of reviews and to author responses. As a result of my experience digitizing videos for the past decade of the CLSP seminar series, I would like to begin an initiative to create a NAACL video archive that records the talks given at our conferences. I will give NAACL’s support for the new journal initiative. Finally, I will work to ensure that our conferences continue to be a success. (I am taking my campaign to the tweets! You can follow my outlandish campaign promises on Twitter @ccb). Anoop Sarkar is an Associate Professor at Simon Fraser University in British Columbia, Canada where he co-directs the Natural Language Laboratory (http://natlang.cs.sfu.ca). He received his Ph.D. from the Department of Computer and Information Sciences at the University of Pennsylvania under Prof. Aravind Joshi. His research areas are statistical parsing and machine translation (exploiting syntax or morphology, or both). His interests also include formal language theory and stochastic grammars, in particular tree automata and tree-adjoining grammars. He would like to decipher the Voynich manuscript before Kevin Knight does. For his service to NAACL and to other ACL conferences please see his home page. There are a few things I would like to get done as Secretary of the NAACL Board. The naacl.org web-site needs to be updated, not only to look better, but to be more functional as well. It should function as a means for the NAACL membership to interact with and provide feedback about various initiatives to the NAACL board. We should archive for posterity useful information about all previous NAACL conferences at naacl.org. I attended ACL 1993 as an undergraduate student on a Don Walker scholarship that funded my travel from India to Columbus. Having benefitted from that experience, I believe the NAACL board should encourage the next generation of NLP/CL researchers, in particular by supporting NAACL summer schools, the CL Olympiad (NACLO) and small regional workshops where high school and undergraduate students can be exposed to NLP. I would like the NAACL board to communicate in a friendly, readable way with the NAACL membership. We also need to improve the bidding process for NAACL HLT venues by increasing the number of high quality bids. 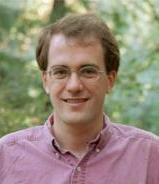 Christopher Manning is an Associate Professor of Computer Science and Linguistics at Stanford University. His Ph.D. is from Stanford in 1995, and he held faculty positions at Carnegie Mellon University and the University of Sydney before returning to Stanford. Manning has coauthored leading textbooks on statistical approaches to Natural Language Processing (NLP) (Manning and Schuetze 1999) and information retrieval (Manning, Raghavan, and Schuetze, 2008), as well as linguistic monographs on ergativity and complex predicates. 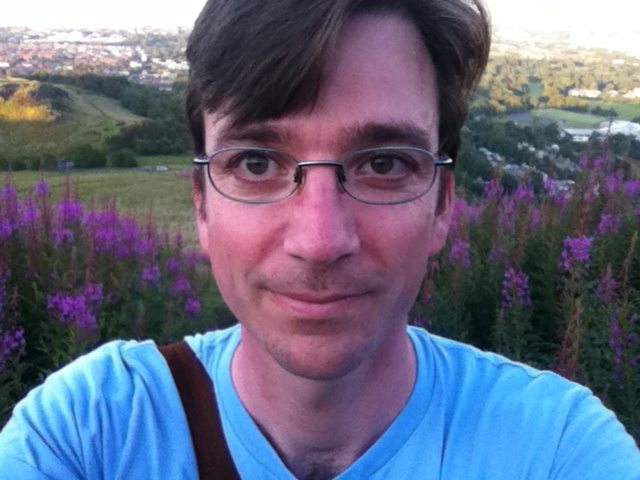 His recent work has concentrated on probabilistic approaches to NLP problems and computational semantics, particularly including such topics as statistical parsing, robust textual inference, machine translation, and joint inference for NLP. I feel like I need to be working on promoting stricter term limits for the NAACL treasurer so that people don’t keep re-nominating me for this job! In the meantime, I’ll continue trying to solve the (sometimes difficult) optimization problems of allowing low NAACL fees and effective outreach while not landing NAACL in a fiscal hole. Rebecca Hwa is an Associate Professor in the Department of Computer Science at the University of Pittsburgh. Her recent research focus is on multilingual processing and machine translation. Before joining Pitt, she was a postdoc at University of Maryland. She received her PhD from Harvard University and her B.S. from UCLA. 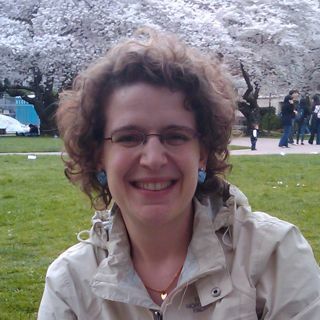 She currently serves as the Past Chair of the NAACL executive board; she has been an area co-chair for NAACL/HLT (2007) and for EMNLP (2005,2008); and she has served on the editorial board of Computational Linguistics (2003-2005). My experience over the past two years as a member of the NAACL executive board has emphasized to me that our organization has many responsibilities in addition to maintaining a high quality scientific conference and supporting the NAACL summer school. I seek the opportunity to further serve NAACL as the chairperson of the executive board so to sharpen our mission of promoting cooperation with an increasingly broader set of related communities as our organization grows. Recently, the board has begun several exploratory programs such as the sponsorship of regional workshops, the Latin America Fund, and the student tutorial fund. If elected, I will work with the board to formalize and scale up the successful programs. I also strongly believe in our mission to encourage participation from students. While the NAACL summer school and the student research workshop are both successful programs that have received enthusiastic participant feedback, they reach a relatively small percentage of students. I would like to explore ways of reaching out to students from schools that do not have a strong computational linguistics presence. For instance, the board can help expand the community’s student friendly online resources. Finally, I will work with both the ACL executive board and the NAACL board to ensure the continued success of our conferences. David Chiang is a Research Assistant Professor at the University of Southern California (USC) and a Computer Scientist at the USC Information Sciences Institute. He received an AB/SM in Computer Science from Harvard University in 1997, and a PhD in Computer and Information Science from the University of Pennsylvania in 2004. 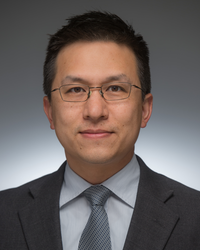 After a research fellowship at the University of Maryland Institute for Advanced Computer Studies, he joined the USC Information Sciences Institute in 2006, where he currently works on formal grammars for statistical machine translation. He has served on the editorial board of Computational Linguistics, as an area chair for ACL and EMNLP, and as a local organizer for NAACL HLT 2010. Three things that I learned from being a local organizer for HLT 2010 that I would apply myself to as part of the executive board: (1) Being a local organizer is hard work, and it’s hard to convince people to do it. If we want future conferences to be in great locations, we need to look for more incentives or support structures for future local organizers. (2) NAACL does a lot for students – for example, the student research workshop, the student volunteer program, the best student paper award, various student scholarships – but these programs are not always coordinated so as to benefit the students who need it most. I would work to make NAACL’s overall outreach to students more effective toward the goal of forming excellent NLP researchers. (3) Despite its name, NAACL exists for computational linguistics research in all the Americas, not just North America. I will work to make our activities reflect this expanded mission more, ideally towards holding a future HLT conference in Latin America. Daniel Gildea is an Associate Professor of Computer Science at the University of Rochester, and works in the areas of machine translation, semantic interpretation, and parsing algorithms. He received his PhD in computer science from UC Berkeley and was a postdoctoral researcher at U Penn before coming to Rochester. He is currently on the editorial board of the Computational Linguistics journal, and served as a co-chair of CoNLL 2005, a local organizer for the 2007 NAACL conference in Rochester, and an area chair for ACL 2008. My first goal as a board member would be to maintain the quality of the NAACL conference and to try to improve the reviewing process. We sometimes suffer from reviewers that are not thorough or not open to new ideas, and also from authors who repeatedly resubmit papers with only minor alterations. I would like to provide a facility for program and area chairs to pass experience with reviewers on to the organizers of future conferences. I would also like to provide the ability to access previously submitted versions of a paper with the previous reviews. These changes could improve accountability on both sides of the reviewing process. I would also like to improve outreach to undergraduates in order to encourage more students to enter our field. One way to do this is to advertise the summer school as widely as possible to attract students from colleges without NLP faculty. I would also like to explore the idea of having NAACL serve as a sort of clearinghouse for summer Research Experiences for Undergraduates (REUs). Emily M. Bender is an Associate Professor of Linguistics and an Adjunct Associate Professor of Computer Science and Engineering at the University of Washington, where she has been a member of the faculty since 2003. 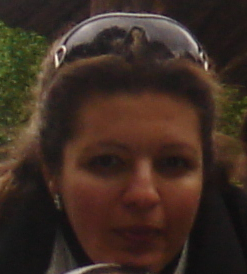 Her primary research interests are in multilingual grammar engineering and deep linguistic processing. She is the Linguistic Society of America’s delegate to the ACL and the faculty director of UW’s professional MS in Computational Linguistics. In 2009 she co-organized a panel session on computational methods in support of linguistic analysis at LSA and an NSF-sponsored workshop on Cyberinfrastructure for Linguistics. If elected to the NAACL board, I will focus my efforts on the three Rs: Reproducibility, Reviewing, and Reinvigorating interdisciplinarity in our field. Reproducibility is the hallmark of scientific work. The recent move to allow publication of data and code in ACL-published proceedings is an enormous step towards reproducibility. NAACL-HLT should absolutely participate in this trend. However, there is still work to be done to make sure that the published resources are in fact useful in advancing the state of the art. For example, CC BY-NC-SA 3.0 is not the right license for every NAACL-HLT author. Furthermore, we have not yet worked out how to efficiently and effectively review these materials. Reviewing is central to the quality of conferences and publications. The reputation of the NAACL-HLT conference elicits considerable effort on the part of reviewers, yet there is still room to improve the way that that effort is focused. A system of incentives to encourage reviewing that is fair, rigorous, and constructive could include feedback to reviewers by area chairs, co-reviewers and even authors as well as recognition for outstanding reviewing. Reinvigorating interdisciplinarity: Solving big problems in human language technology requires both sophisticated algorithms and understanding of the domain of application of those algorithms. Yet, the integration of linguistic knowledge in our field falls short of this ideal. I will work towards bringing relevant Linguistics to NAACL in the form of tutorials, building connections to NASSLLI, and other means of making Linguistics accessible to HLT researchers. I am currently Research Scientist at the Center for Computational Learning Systems at Columbia University. I am co-founder of the Columbia Arabic Dialect Modeling group at Columbia (CADIM) I work on (lexical) semantics, Machine Translation, Arabic NLP, Multilingual Processing, Social computational Linguistics. I have been heavily involved in multiple organizational tasks such as workshops and tutorials. I currently serve as the elected president of ACL SIG Semitic, Secretary of SIGLEX, I am co-chairing NAACL 2012 Workshops. I am also serving as ACL 2012 area co-chair for Multilinguality. Before joining Columbia in 2005, I did my postdoctoral work with Dan Jurafsky at Stanford University. I earned my PhD in Computational Linguistics from UMD-College Park in 2003. I would like to serve on the board to serve the community in several aspects: 1. I am most concerned with the reviewing process and the duplication of effort this involved to date. I would be very interested in helping devise mechanisms of recycling and streamlining paper reviews in such a way that lightens the burden on the reviewers but also provides thorough feedback to authors; 2. I am interested in creating more links with students (especially women) by increasing their participation via dedicated sessions but also via creating more technical mentoring opportunities and potential job placement sessions; 3. I think we should strive to create solid links to the industrial world without losing sight of the theoretical underpinnings of computational linguistics, linguistics, and cognition by promoting sound scientific exploration that could have interesting implications on our understanding of natural language and the human mind. This goal can be achieved via papers/ opinion papers (which already exist) but also encourage panel discussions similar to workshop sessions; 4. I would like to help increase the visibility of NAACL beyond North America into Latin America and work on facilitating the visibility of NAACL in Africa and the Middle East; 5. NAACL is at the forefront of our conferences and I believe it should play a significant role in popularizing our science beyond the technical confines of our conferences/academia/industry to more lay venues allowing for more creative advertising for our field.